← New HamStudy.org mobile apps are here! 2 Responses to "SignalStuff SMA-F Clearance"
What is the swr on the signal stick? Please see https://signalstuff.com/wp-content/uploads/2016/05/g.png for an SWR chart. Note that for a 1/4 wave antenna the SWR will vary *a lot* depending on what you are using it with — this is typical of HT antennas. 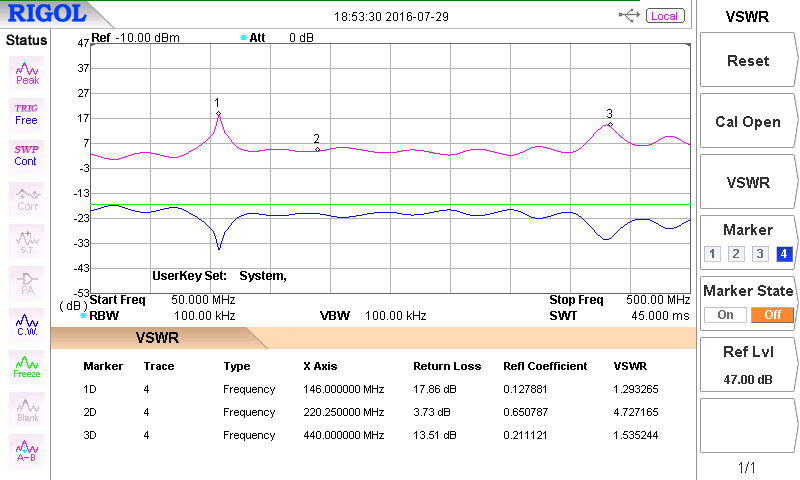 Testing SWR accurately requires a special setup which isolates the antenna from the feedline, so don’t expect to get reliable results just plugging it into an antenna analyzer — every antenna analyzer will give you different results. See https://www.youtube.com/watch?v=3Qve78EwXjc for a youtube video where SWR of different antennas were compared (by parties other than Signal Stuff).